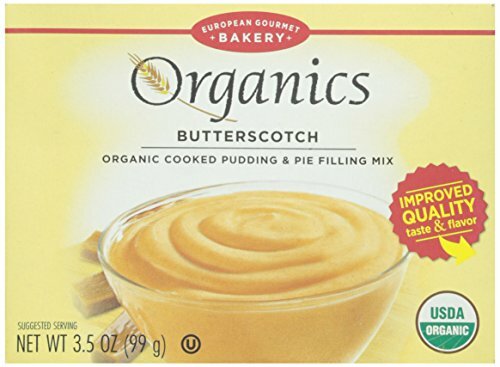 Dr. Oetker Organics Butterscotch Pudding delivers a purely sweet butterscotch flavor in every spoonful. The ingredients in Dr. Oetker Organics puddings are grown without man-made pesticides, synthetic fertilizers or GMOs (genetically modified organisms) and are free of chemical processing. A naturally delicious butterscotch dessert. Conagra Swiss Miss Vanilla Pudding, 3.5 Ounce - 48 per case.